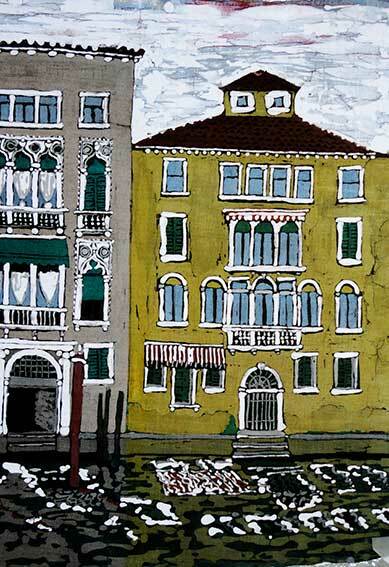 I designed and made this lampshade of the Grand Canal as a big 'thank you' for my sister and brother-in-law who took me to Venice just after my mum died. Before she was ill, my mum and I made several life-changing trips to Venice and this was a good place to go, although infinitely sad that she wasn't there too. 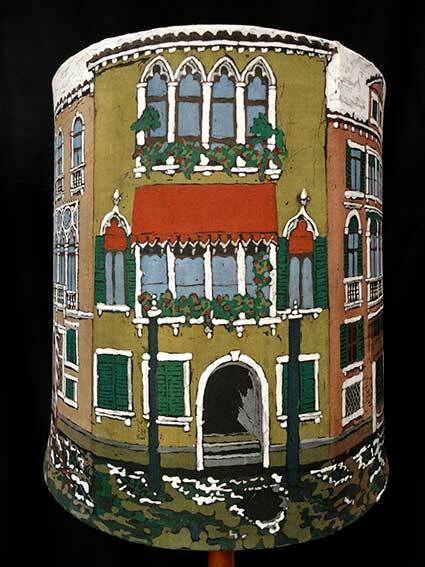 One day, as we were on a vaporetto going up the Grand Canal, in glorious spring sunshine, I photographed the palazzi en route with this lampshade in mind. 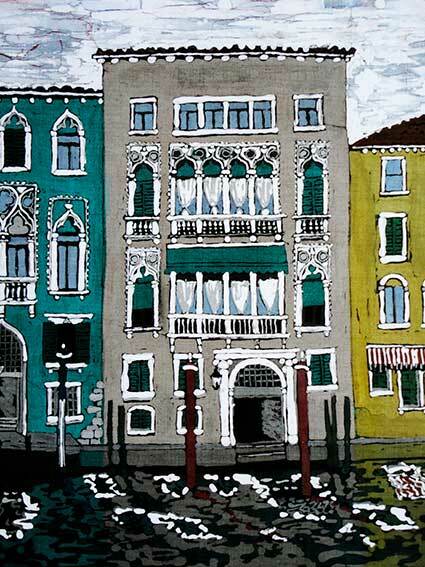 I wanted to get details of the variety of styles of Venetian architecture of these ancient palaces. 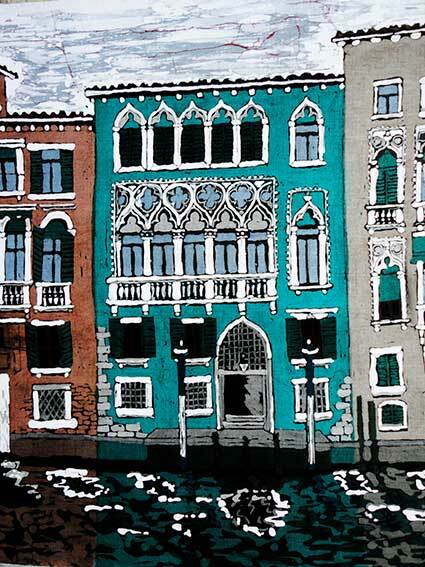 Each of the six panels depict a typical Grand Canal palazzo so each day you can turn it round for a different view. 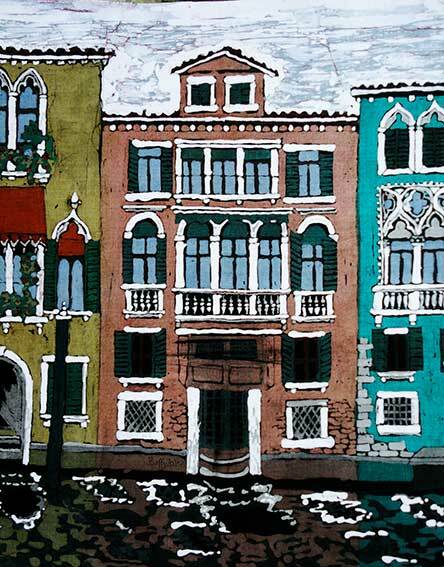 After waxing in the white and the grey for the stonework details, I dyed each panel individually to get those classic Venetian colours. From then on each panel then had its own colour scheme. I love the Moorish shapes of the windows standing alongside the classic Palladian ones - Venice is such a glorious mixture of cultures. The result is something I'm very proud of and I'm able to enjoy it and the memories it holds, every time I visit their house.